Pinckney Bend Distillery in New Haven MO was awarded two medals at the prestigious International Wine & Spirits Competition (IWSC) in London. A Silver Medal was awarded to the distillery’s Rested American Whiskey, and a Bronze Medal to its American Gin. 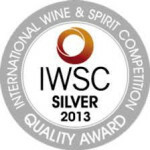 IWSC is the oldest and most respected spirits competition in the world, drawing entrants from over 90 countries. All judges are industry professionals, and only a fraction of the entrants survive its tough testing, tasting and evaluation process. Ralph Haynes, the distillery’s V.P. of Marketing said, “The IWSC in London is like the World Cup of spirits competitions. For small craft distillers like Pinckney Bend, winning a medal at this venue gives us a rare chance to position ourselves on a world stage, in the company of the most respected spirit brands on the planet”. Pinckney Bend spirits can be sampled at the distillery tasting room in Downtown New Haven MO, Thursdays thru Monday, from noon until 6:00PM. Who doesn’t love some good press! In July, Ralph Haynes talked with Missouri Extension BDP about our almost 4-year journey so far!